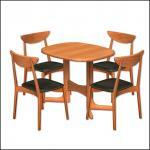 Lots of recolors -- AL wood, Malm and LACK -- from Michelle. Lovely recolors by Yuichen as well. 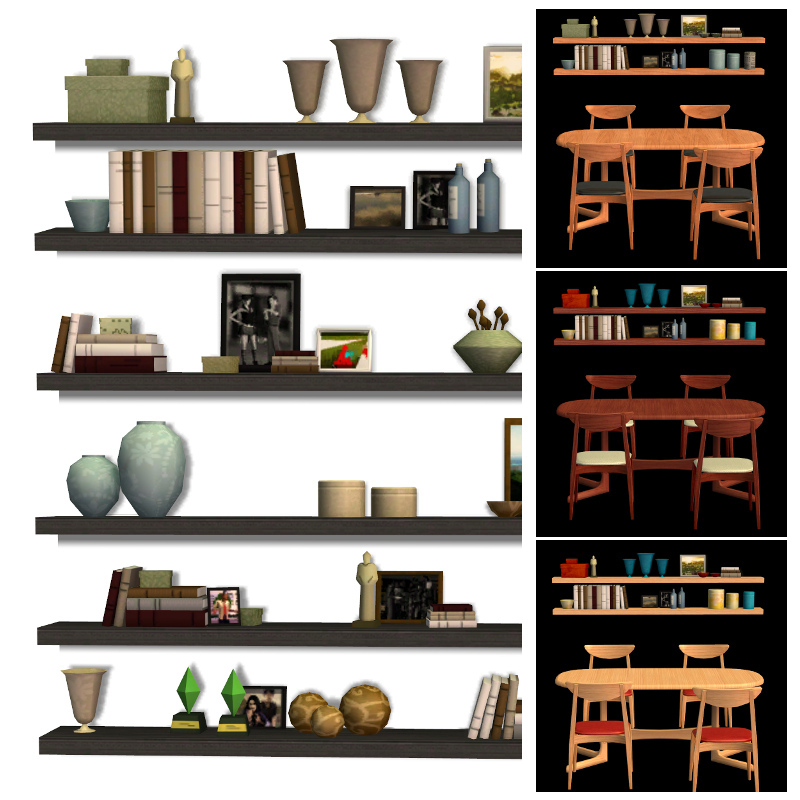 Here are some recolors of the Fjodsnord Tiered Shelves that were converted from the Sims 3 store world, Aurora Skies. 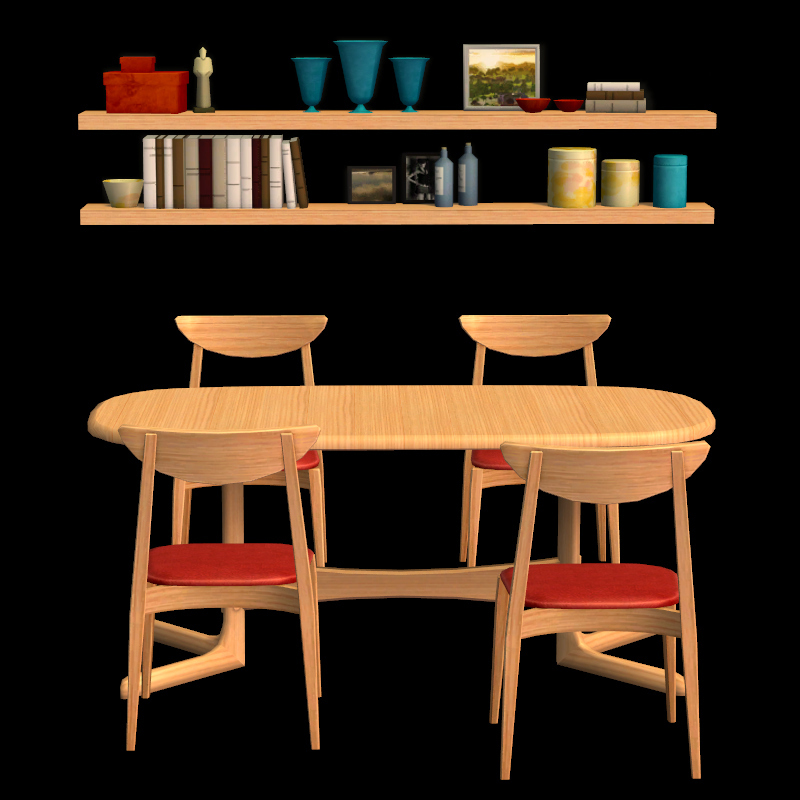 The shelf recolors coordinate with the FLATWOULD Dining Table by Iseeya from the base game. 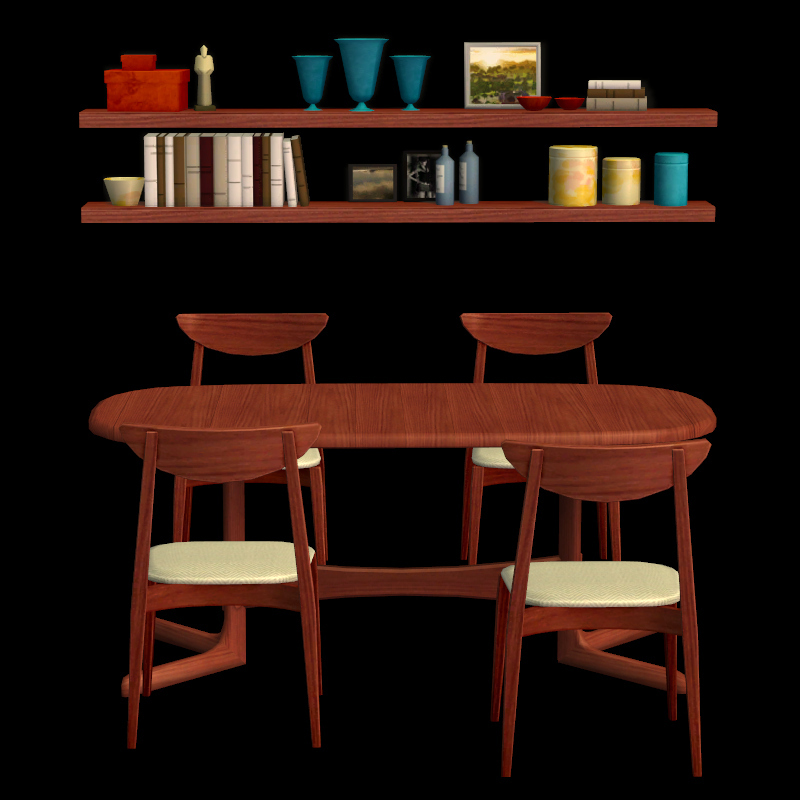 I've included the meshes if you need them but you might want to follow the link to the shelves to get the details -- slots, catalog placement etc. 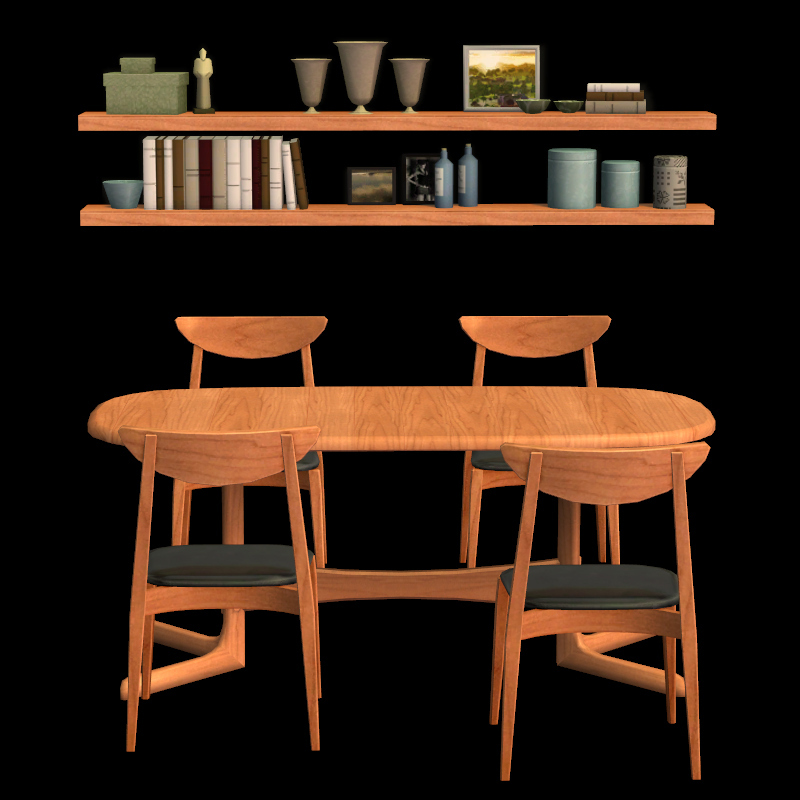 SimPE, Gimp and EA for the textures. 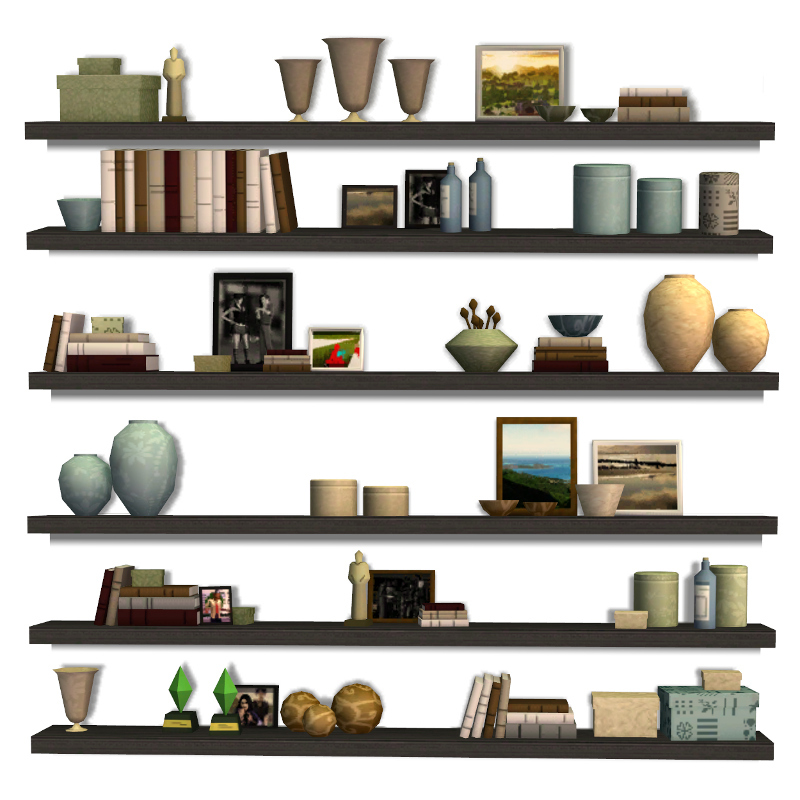 HW_fjordsnordTieredShelves.zip | Description: Meshes if you need them.